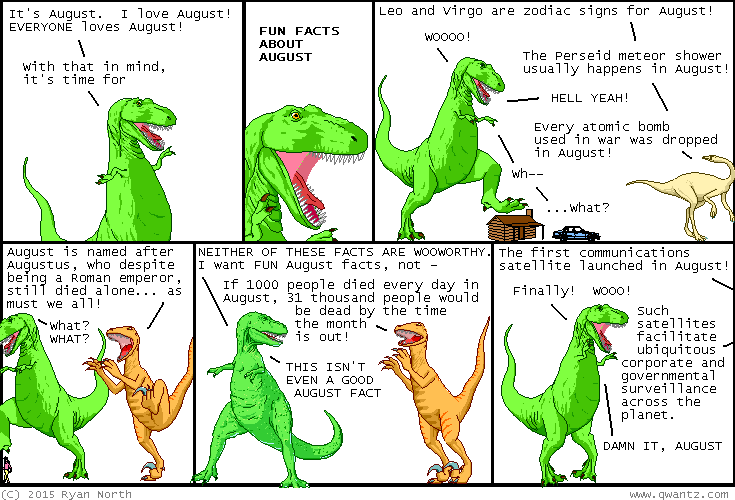 Dinosaur Comics - August 10th, 2015 - awesome fun times! –...30 YEARS AGO THIS VERY NIGHT!! August 10th, 2015: FUN FACT ABOUT AUGUST: given the world's current population and death rates, well more than 1000 people will die every day in August. THANKS, AUGUST. Friggin' August.